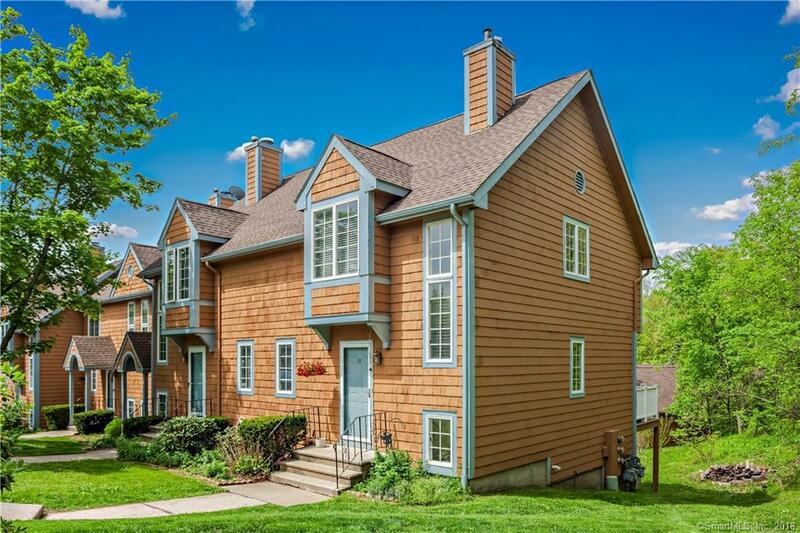 12 Pamela Court #12, East Windsor, CT 06016 (MLS #170085905) :: NRG Real Estate Services, Inc.
Rare END UNIT with garage! Imagine driving up to a beautiful well kept complex with lush greenery. This rare end unit townhouse has many one of a kind features; two very spacious bedrooms, 1 full and 2 half baths, one on every level of living space. Both bedrooms are super quiet, bright and very large with high ceilings and brand new carpeting throughout. This lovely home features freshly refinished wood floors, fresh neutral tone paint, a young furnace, a newer central air system, high efficiency water heater and tons of natural light. There's a fully finished basement with rare walk out porch area backed to woods for privacy. This unit also comes with a garage and loft area for lots of extra strorage space. Located in charming Broad Brook, known for its beautiful farmland with easy access to highways, restaurants and a quaint little playhouse. There is something for everyone to love in this town and in this beautifully maintained home. It is a pet friendly complex! Stop imagining and own your very own move in ready home! Listing provided courtesy of Kristen Walsh of Coldwell Banker Res Brokerage.